Two weeks before arriving in The Faroe Islands I bought two F-stop back-packs, the big Tilopa BC for transporting all my photo gear – and some other stuff – between destinations, and the smaller Guru back-pack for carrying the gear around once I arrived at my destination. I’m gonna be testing the back-packs during my travels the next two month, first off is as mentioned The Faroe Islands, here after I’m going to Singapore, Cambodia and Bangkok for a month, then Austria for two weeks, more precise a week in Tyrol and a one in Vienna. So far it’s only been a positive back-pack experience, been out with the Guru in the highlands a few times already, but more on that later. The photo is from Bangkok,Thailand a city I visited for the first time in 2008, and really looking forward to visit again. 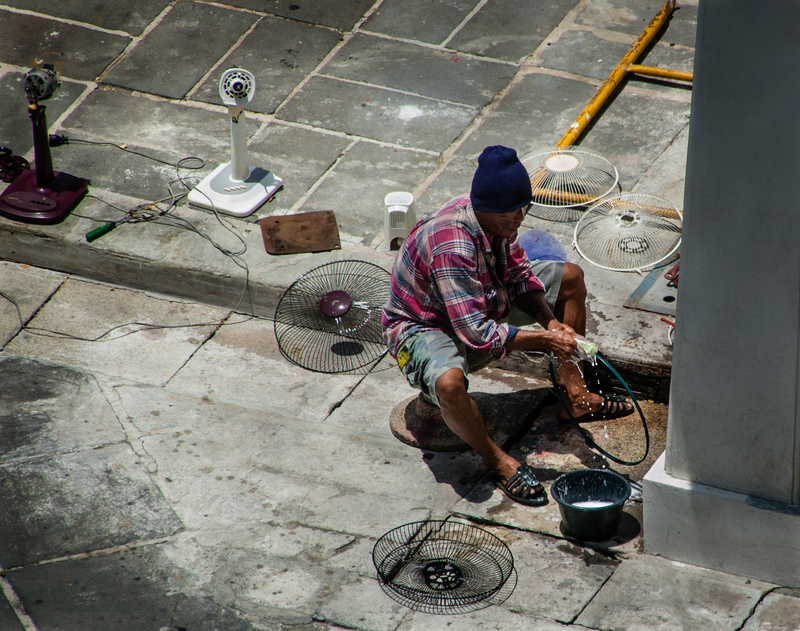 Fan Cleaning by Bo47 is licensed under a Creative Commons Attribution-NonCommercial-NoDerivatives 4.0 International License.